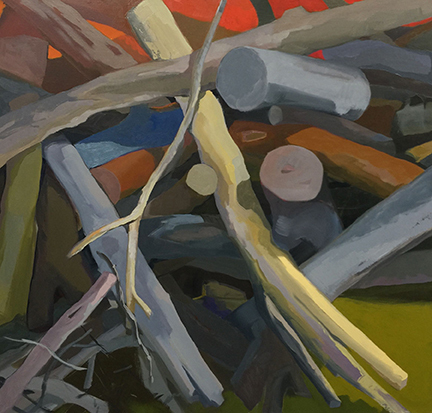 Jean Koeller takes a multifaceted approach to the subject of landscape. Utilizing this genre, Koeller aims to change how one sees the process of making art. Small paintings done en plein air inform the large-scale paintings done from memory to reveal the artist's daily and extensive studio process. Exhibiting these works together grants the viewer insight into the unique exploration the artist describes as "thoughts... bodies of works that are on the way to something else." The show expresses the more fluid side of art-making, allowing the process to be evident and shared.